Thanks to Ranger Rob for providing me with product. All thoughts shared are my own. Ranger Rob wants to invite us along on endless adventures as we celebrate our beautiful planet, earth! 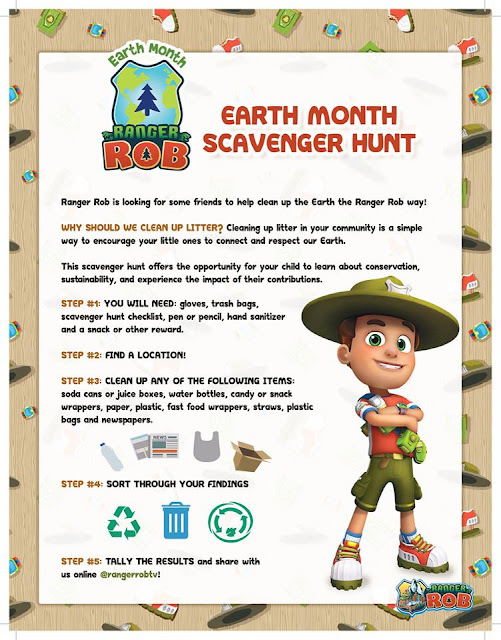 Earth day is April 22nd but instead of just one day, come join all of the fun as Ranger Rob dedicates the month of April to be "Ranger Rob Earth Month!" Ranger Rob follows ranger-in-training, Rob around the Big Sky Park, the coolest natural adventure park imaginable, as he ziplines, swings, and snowboards discovering and exploring all that the park has to offer. Big Sky Park is a one-of-a kind place with every kind of outdoor environment within its borders and each episode takes viewers on a new adventure, cultivating the spirit of exploration and curiosity, and inspiring kids to get outside to play and discover. Ranger Rob can be viewed on YouTube and is the most adorable show that your kiddo will immediately fall in love with! Because Earth Day is this month, Ranger Rob wants us to celebrate the entire month of April. To celebrate Earth Month, you can enter to win an amazing giveaway! Ranger Rob is offering a Command Tower Toy Set to the lucky winner! Be sure to see the details below on how to enter. My two little guys absolutely love Ranger Rob! They can relate to his adventurous spirit and love of the great outdoors. Ranger Rob encourages children to get outside and explore the world around them. It's not just a TV show. Below, you'll see a scavenger hunt activity that you can follow along with your kiddos! My little guys LOVE all of the Ranger Rob goodies! They can't wait to watch another episode and participate in some fun outdoor activities with Ranger Rob. You can print your copy by visiting Ranger Rob on Facebook. or Instagram. This scavenger hunt activity offers the opportunity for your child to learn about conservation, sustainability, and experience the impact of their contributions. The best way to teach kids is to have fun while doing so. Roll up your sleeves and go on a scavenger hunt! 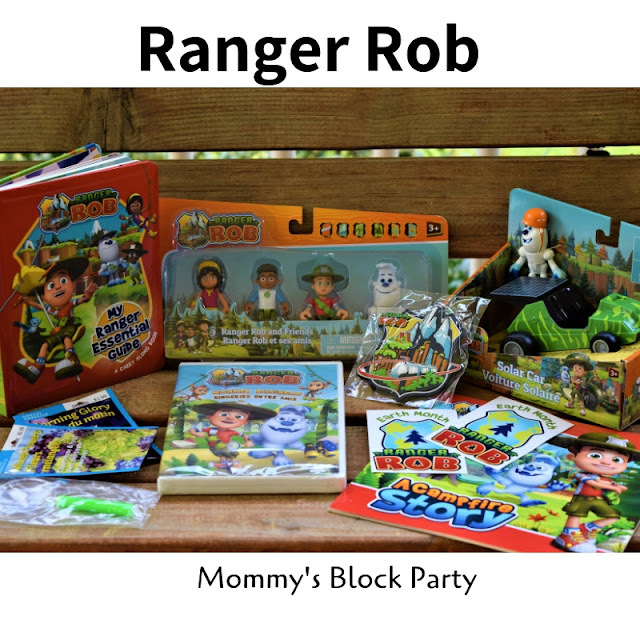 Ranger Rob Command Tower Toy Set Giveaway! This giveaway ends April 22nd. How to enter: Follow @rangerrobtv on Instagram/Facebook and tag 2 friends in the giveaway posts! It's as simple as that! Head over to visit Ranger Rob on Facebook and Instagram and you'll see the giveaway posts. Let's get our kids involved in the Earth Month movement and start the dialogue as early as possible about taking care of our beautiful planet. As adults, it's up to us to set the example and Ranger Rob helps us in that quest. Special thanks to our friends at Ranger Rob for partnering with us to share all about Earth Month with you! 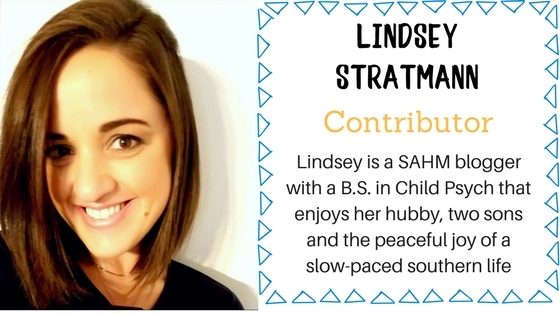 I hope you'll get your kiddos involved in this movement, go on an outdoor adventure and maybe even win an amazing prize too!